Kawah Putih (White Crater) is located in a mountainous area that has a height of more than 2,400 meters above sea level. With these altitudes, the air temperature in the White Crater area is of course cold with a temperature of 8 degrees Celsius to 22 degrees Celsius, therefore do not forget to bring a jacket or wear thick clothes. 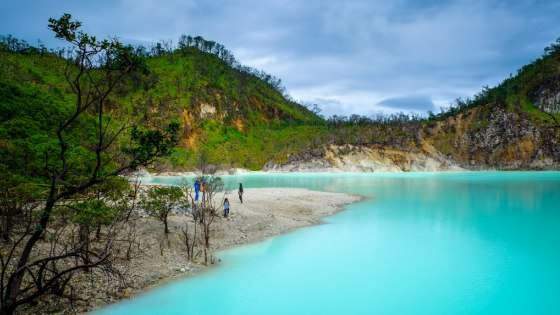 In addition to the beauty enjoyed by the tourists, Ciwidey White Crater is also often a place of other activities, such as film shooting, painting, wedding photos, up to climbing and horseback riding. The story of the White Crater began in the 10th century where a great eruption by Mount Patuha occurred. After this eruption, many people assume that this location is a haunted area because every bird that flies through the area will die. As time went on, the belief about its haunted place began to fade, until finally in 1837 there was a botanist with a German nationality coming to this area to do research. The researcher named Dr. Franz Wilhelm Junghuhn was deeply attracted by the lonely mountain areas that no birds even flew over him so he went around the village to search for information. At that moment, all the information he got was that the kasawan was haunted and inhabited by the spirits. For Dr. Franz Wilhelm Junghuhn, the statement of the local community does not make sense. Not believing in the stories, he went into the jungle to find out what was there. Long story short, finally Dr. Franz Wilhelm Junghuhn made it to the top of the mountain, and from there he saw the existence of a beautiful white lake with a stinging smell of sulfur. Since then, the existence of the White Crater Ciwidey became famous and started from 1987 the government developed this area as a tourist place that offers a unique viewing experience of the lake that can change color. Kawah Putih which is located at Jalan Raya Soreang Ciwidey KM 25. From Jakarta, you only need to use the Cipularang toll lane and exit through Kopo toll booth. 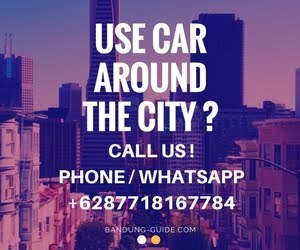 From there you must head to Soreang and drive to the southern part of Ciwidey. When using public transport, you can take an angkot from Leuwi Panjang terminal that goes to Ciwidey terminal. From Ciwidey terminal, you can use the angkot that goes to Situ Patenggang and descend in front of the gate of White Crater.